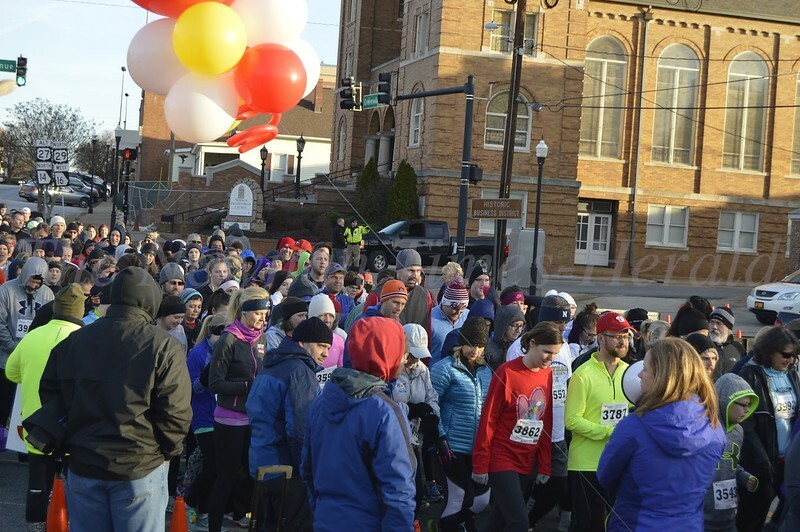 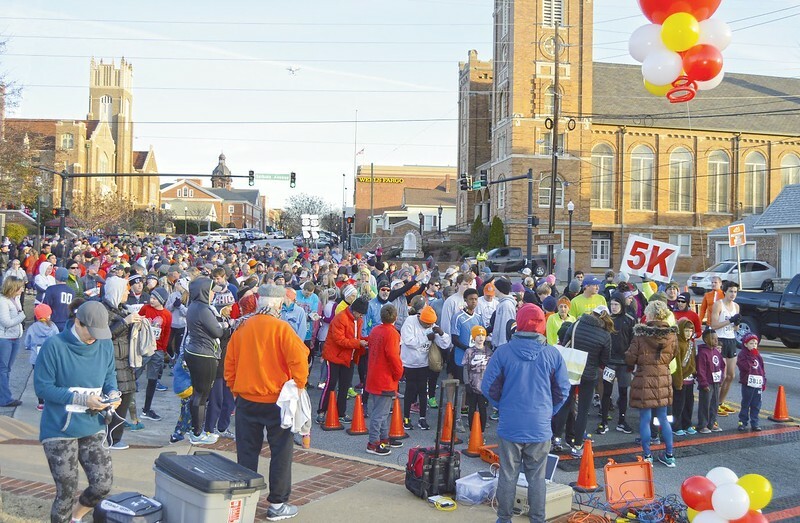 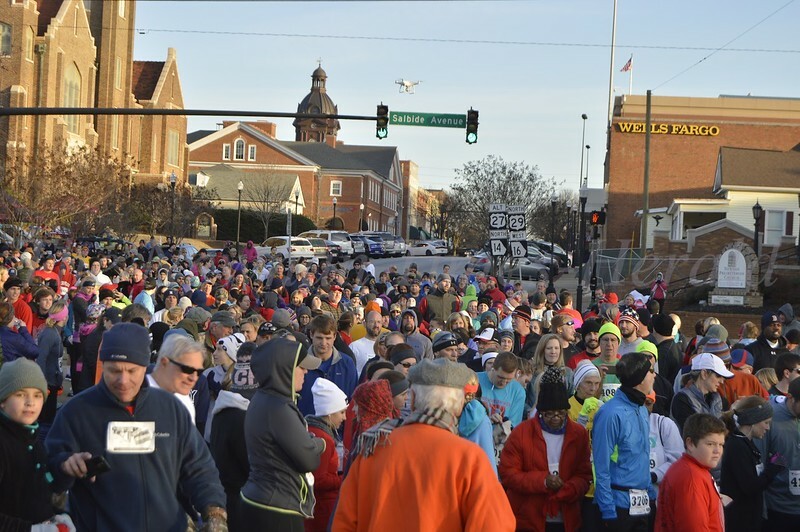 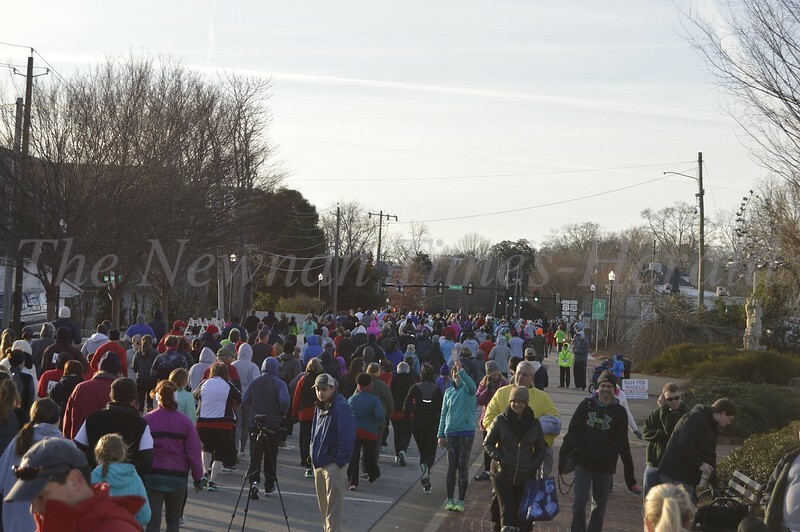 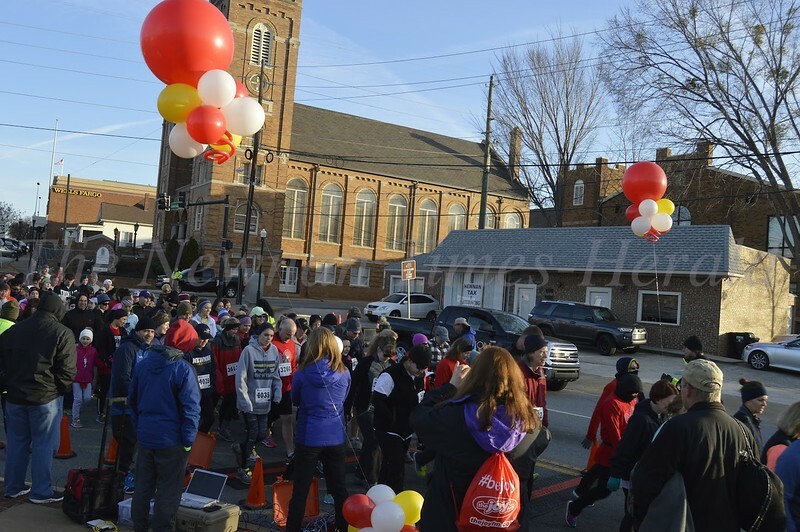 Hundreds of participants gather for downtown Newnan’s annual Run for Angels race Saturday. 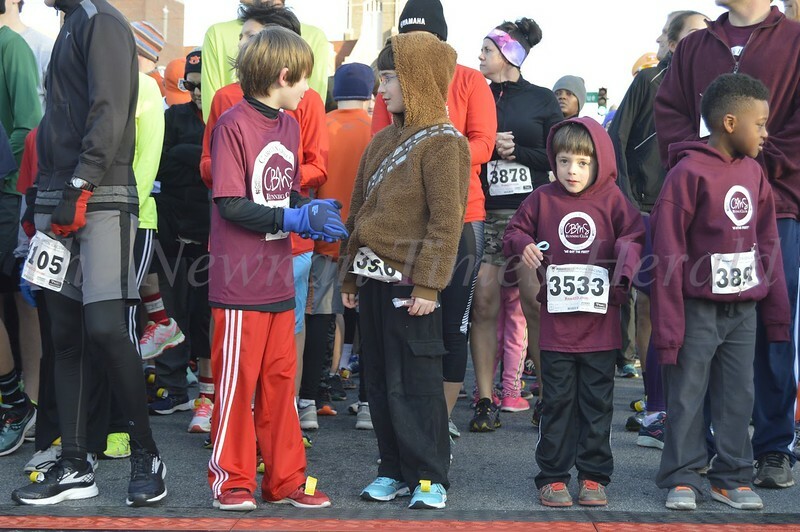 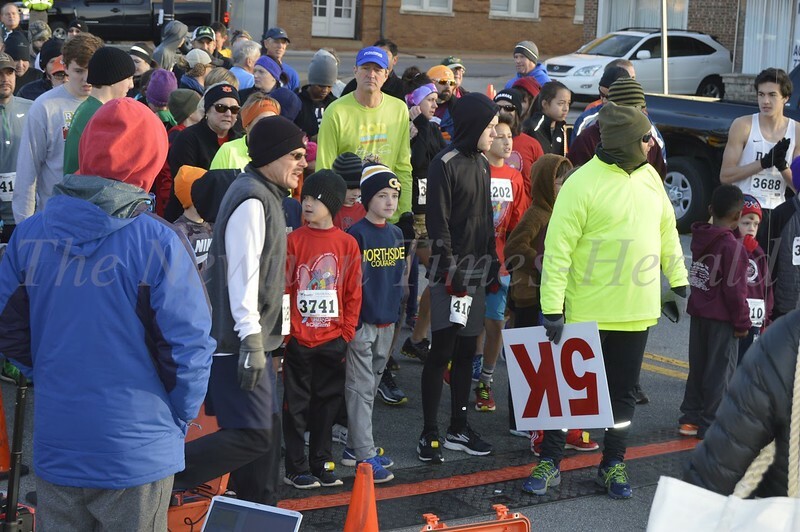 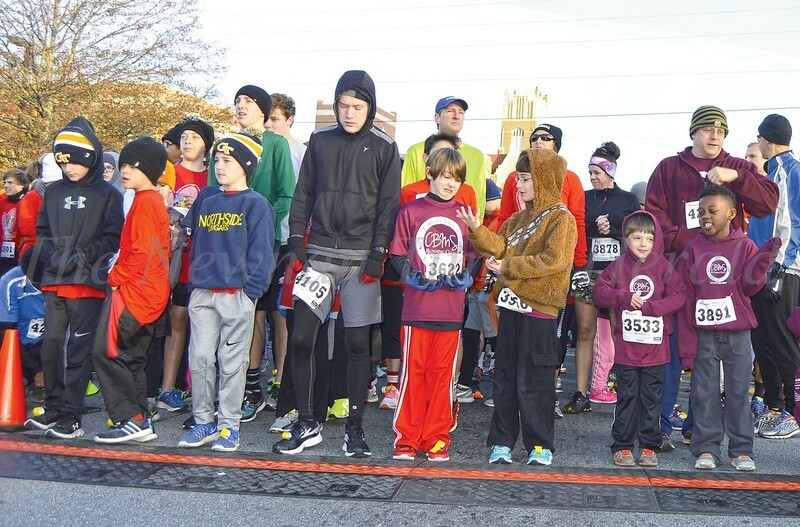 Young runners wait patiently at the starting line for the 5K portion of the Run for Angels held in Newnan Saturday morning. 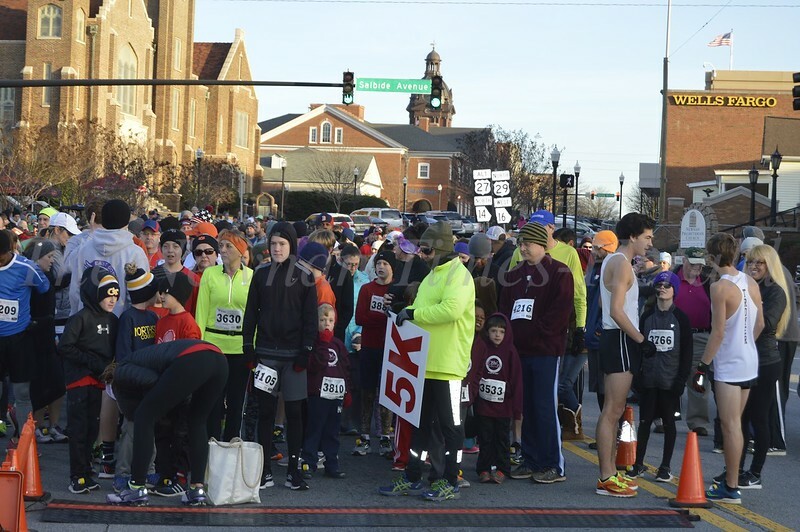 A horn signals runners as the 5K portion of the Run for Angels begins on Greenville St. in downtown Newnan. 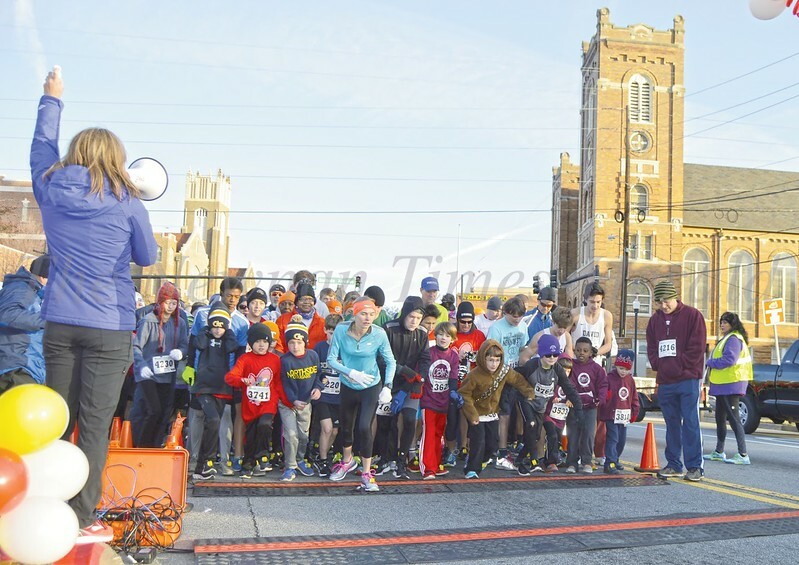 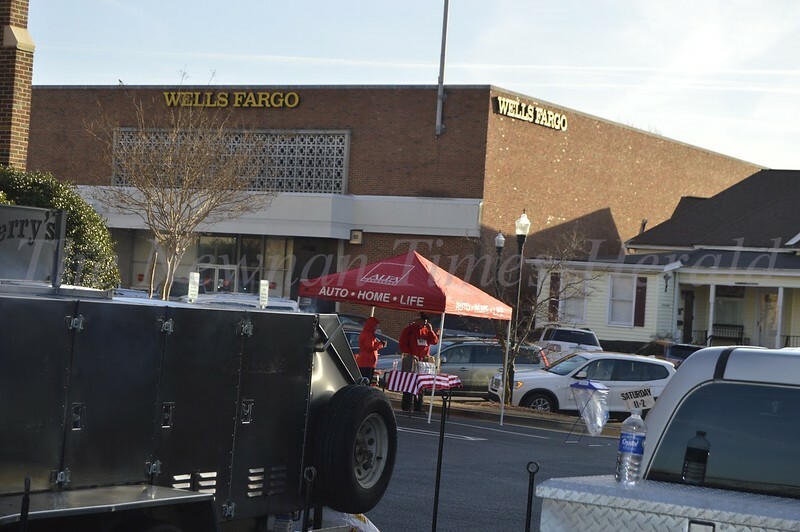 Participants meet and great after the one-mile run, the first of three races that are part of the Run for Angels held early Saturday in downtown Newnan. 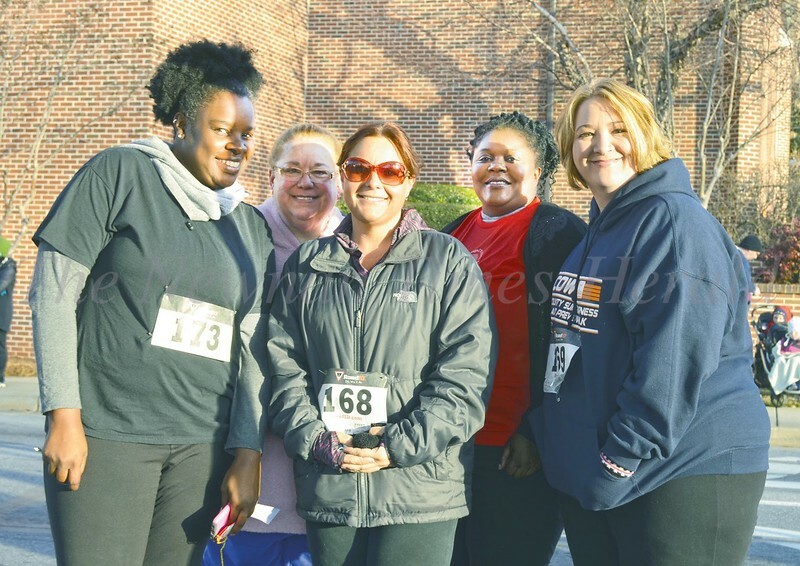 From left are Verbeth China, Sherry Fouts, Julie Fouts, Charlisa Rogers, and Tracie Hicks. 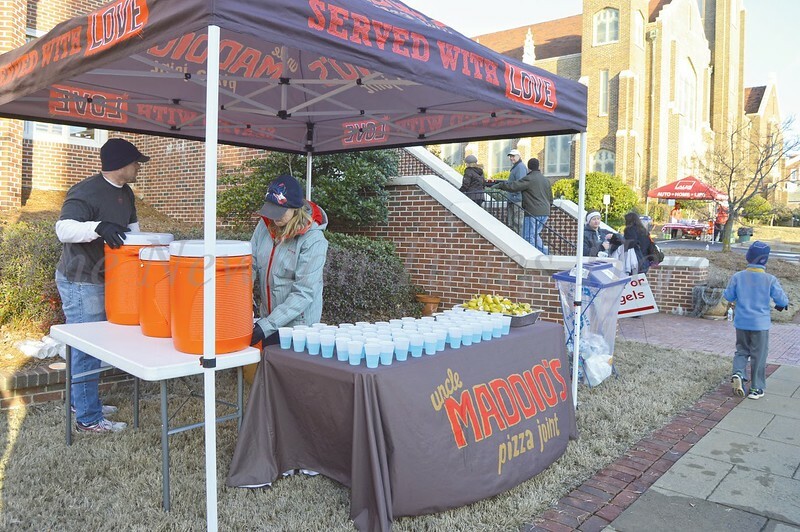 Maddio’s Pizza representatives offer runners refreshments and snacks Saturday morning for Newnan’s annual Run for Angels race. 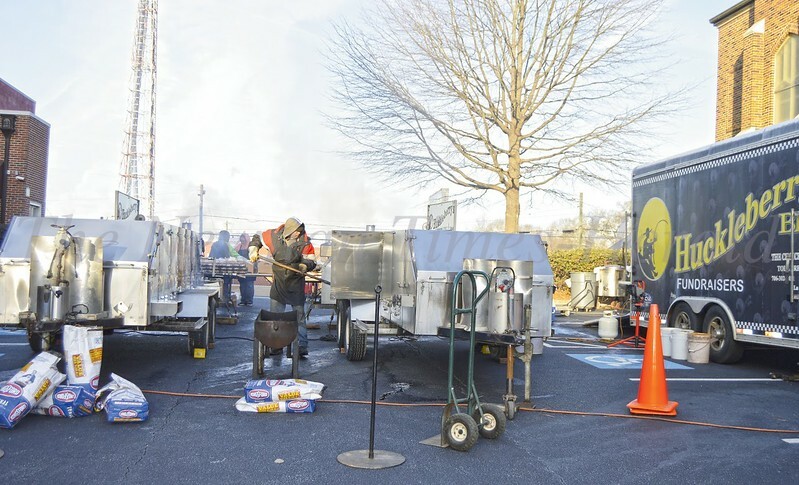 Meal preparation begins early for employees of Huckleberry’s Catering & BBQ, as the restaurant plans to feed hundreds of locals Saturday. 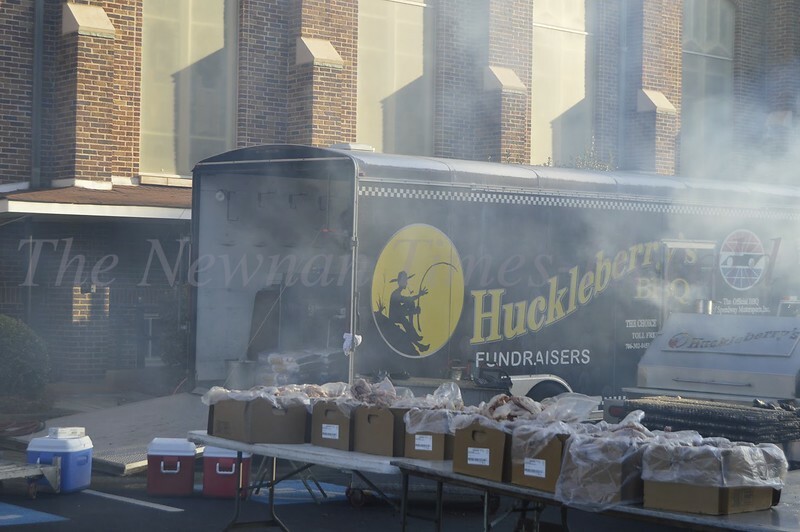 Huckleberry’s serves plated lunches to Run for Angels participants and many more in the community to benefit the local charity organization.